ARRA News Service: Death Tax Repeal - Finally? 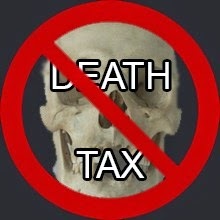 Death Tax Repeal - Finally? by Phil Kerpen, Contributing Author: On April 13, 2005 the House of Representatives voted overwhelmingly, 272 to 162, to permanently repeal the federal estate tax, also known as the death tax. But in the ten years since, they have all but dropped the issue. A stunning 236 of the current members of the House have never had an opportunity to vote on it - that's OVER HALF of the current members of the House! Politicians constantly use “repeal the death tax” as part of their platform when running for office, yet they do nothing once elected and family businesses continue to be victims, punished for working hard and paying taxes all their lives. Fortunately, the Ways & Means Committee will soon consider a bill, H.R. 1105, that would repeal the death tax. The Founders of our country believed this so strongly that they included a clause in the U.S. Constitution that forbids seizing an estate at death as a punishment for treason. Yet we now have a tax on the books that takes up to 40 percent of everything a person leaves to his or her children as a punishment for success, for achieving the American Dream. Death should NOT be a taxable event. The U.S. House has a great opportunity to do the right thing by bringing H.R. 1105 to the floor for a vote, and, with the tenth anniversary of the last vote approaching, they should do so as soon as possible. Help ensure this bill FINALLY gets a floor vote for the first time in a decade. Please click here to contact Congress and demand they schedule a vote to repeal the death tax. Tags: Phil Kerpen, American Commitment, Congress, U.S. House, H.R. 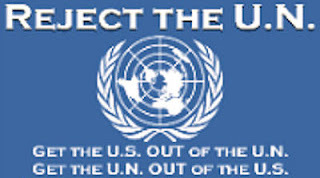 1105, Repeal, Death Tax To share or post to your site, click on "Post Link". Please mention / link to the ARRA News Service. and "Like" Facebook Page - Thanks!